Studying in the USA can be an amazing experience, but it's a complex system to navigate. Read our ultimate guide to help your students with their research. The mere utterance of the phrase “studying in the USA” opens up a world of possibilities. The USA is a huge and diverse country in which to study at university, both in terms of the types of university, and the range of courses on offer (unsurprisingly, as it’s one of the biggest countries in the world). The United States of America offers a dazzling array of university options, both for students who are native to the country, and international students who may be thinking of coming from abroad. Indeed, a recent BridgeU survey found that the USA is the most popular international destination for students at IB World Schools. So why has the USA historically been such a popular destination for university study? Let’s take a look. US universities have a reputation for global excellence, offering world-leading courses and academic pathways across every subject discipline. US universities are also world leaders for cutting edge research and technology. US degrees are renowned for their flexibility, offering your students the chance to generalise across a range of subjects in their earlier years, before specialising later. Employers also look favourably upon international students with degrees from US universities, and this can one of the main reasons why students will choose it as a destination. But the opportunities that the USA can offer your students also throw up some unique and complex challenges when they begin the process of applying to university there. With over 4,000 US universities to choose from, your students may not know where to begin, or how to make sense of a US application system which, for good or ill, is very fragmented and complex. 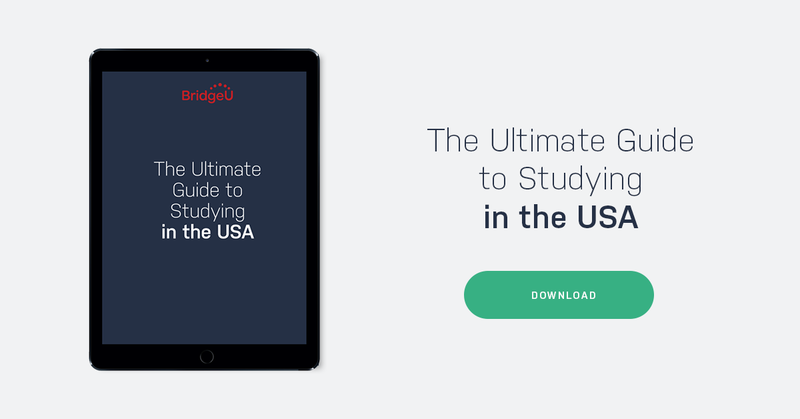 In this guide to studying in the USA, we’ll give you an introduction to the different types of university, explore the course options that your students can choose from, and give you a breakdown of the application process. Chapter 2: Which Region Of The USA Is Right For My Students? Chapter 7: How Much Does It Cost To Study in The USA? In many ways, the United States doesn’t have one university system – it has fifty. Each state will organise their university system differently (particularly those systems which are publicly funded by an individual state’s government). But while we will stress the importance of assessing each region, each state and each institution on its own terms, it is possible to explain some of the most common types of university in the US, and how this can affect factors such as student finance, and the types of degree your students will apply for. Public universities are at least partially funded by the state in which they are based (usually through general taxation). This means that state universities will generally offer students lower fees. They are often bigger, and may offer a wider range of courses and majors than their private counterparts. Public universities will normally offer lower fees to students who live in the state (‘in-state students). International students will fall under the category of ‘out of state’ students. However, international students can still expect lower tuition costs at public universities. It’s worth noting that some states have multiple public university systems. For example, students looking at California can either apply to a university through the California State University system, or through the University of California system, which contains notable international destinations such as The University of California, Berkeley and University of California, Los Angeles (UCLA). Private universities do not receive state funding, and therefore students can expect higher tuition fees overall. They tend to be smaller in size, and offer less variety in terms of courses and majors (although this isn’t always the case). Students can generally expect smaller classes, and possibly more contact time with staff and faculty. 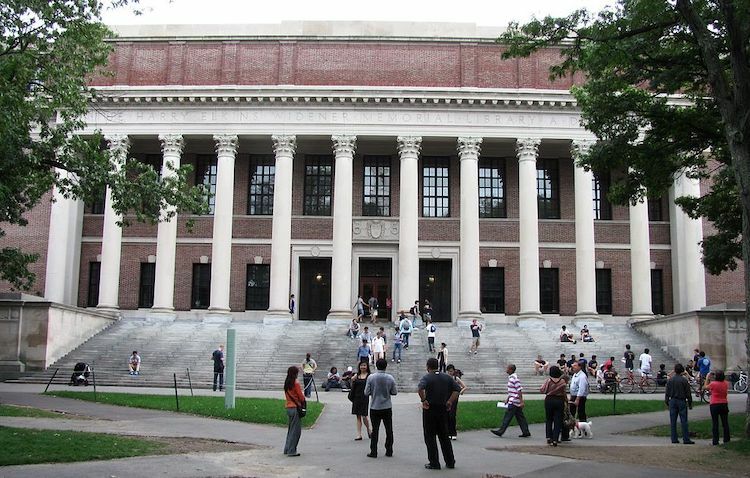 Examples of private universities: Harvard University (pictured above), New York University (NYU), University of Chicago. Liberal arts colleges are institutions offering a broad education in subjects ranging from arts, humanities and sciences. Liberal arts colleges offer a more academic education, as opposed to offering professional, vocational or technical degrees. Liberal arts colleges are normally separate institutions, but they can form part of, or be affiliated with, larger universities. Liberal arts colleges are normally smaller than universities, and this means that students can expect smaller classes and more one-to-one contact time with academic staff. Many employers feel that a liberal arts education gives students a good, academic grounding for the world of work. These are institutes which prepare students for a certain career path. These include engineering, technical sciences, fine art, film and music. These are worthwhile options to consider if you have students who are sure about their career path, and want to hone the necessary skills. These are institutions which, as you may have guessed, only admit female students (although some women’s colleges have become co-educational in the last twenty years). With their larger numbers of female faculty and administrators, these colleges offer women confidence building role models, greater opportunities to serve in a full range of student leadership positions, and a heightened awareness of career possibilities for women. HBCUs were originally founded at a time when African-American students were still segregated from studying with white students. These institutions still exist today, but they now serve a much wider student body. Some HBCUs, such as Tennessee State University, have become popular with students from all over the world because of their diverse student populations. Chapter 2: Which Region In The USA Is Right For My Students? Each region of the USA will offer your students a vastly different university experience. Within each region, there are numerous states and cities, each with their own distinct culture and university system. We can’t possibly summarise them all, but it’s useful to break down the US university system into four larger regions. The North East is home to universities that are internationally renowned, and may be already familiar to you if you’re reading this from outside the United States. Most famously, the North East is where students will find all the universities of the Ivy League, comprising Brown, Columbia, Cornell, Dartmouth, Harvard, The University of Pennsylvania, Princeton and Yale. (In fact, these universities are known as the Ivy League as much for their geographical location as they are for their elite reputations). The North East is also home to the Massachusetts Institute of Technology (MIT). As you may have guessed, the North East offers students the highest concentration of globally ranked universities, with the destinations listed above frequently appearing in the global top 20. 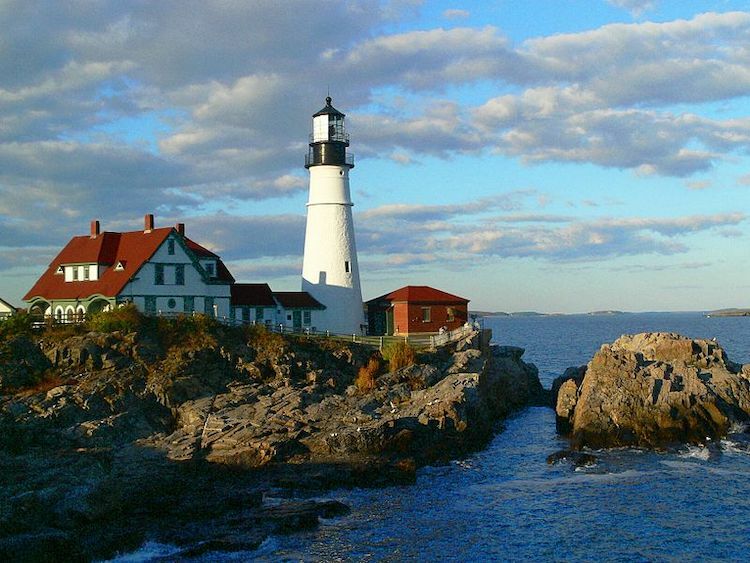 States such as New Hampshire, Maine and Connecticut are known for their natural beauty and rich history (the North East comprises the oldest 13 states). Urban centres such as New York and Boston sit alongside beautiful natural landmarks such as The Appalachian Mountains and Cape Cod. The North East is temperate in its climate, meaning that students will enjoy four seasons, and an all-weather experience. The Midwest comprises states such Illinois, Michigan, Iowa, Kansas, Nebraska, Ohio and South Dakota. 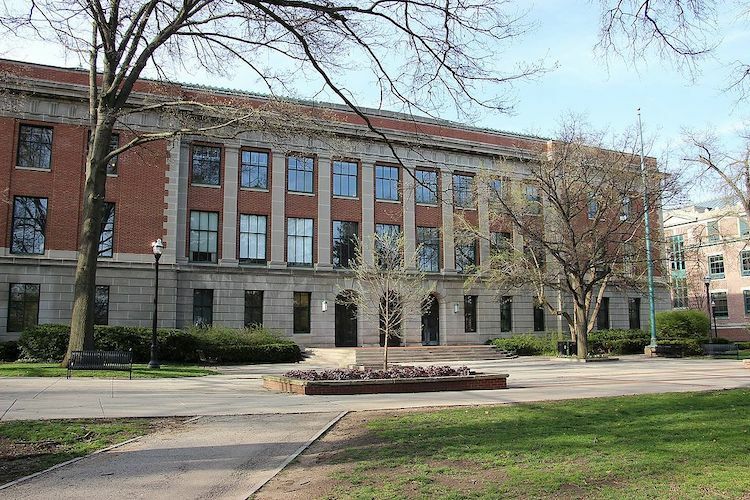 In terms of internationally ranked institutions, universities such as Northwestern University, The University of Chicago, the University of Michigan and Purdue University can all be found in the Midwest. For international students looking at applying to this region, it offers a number of benefits. 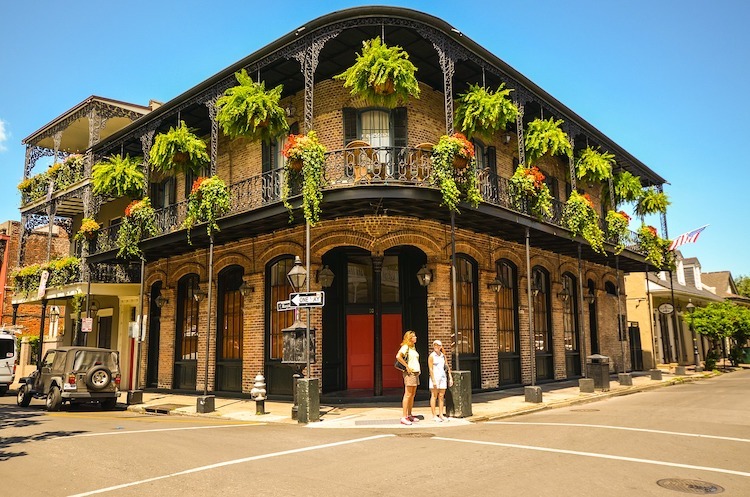 Cities in states such as Missouri and Ohio were listed as cities with a lower cost of living in a 2015 study conducted by Forbes, meaning that students’ can expect their budgets to go further. States such as Illinois, Michigan and Ohio reported some of the highest numbers of international students in 2016-17 according to the Institute for International Education. For example, Ohio was home to 38,000 international students. So, despite concerns that some students may have about studying in the US after the election of a certain Donald Trump, it’s important to remember that this country is still very welcoming to students from abroad! The Midwest also has a rich history and culture. There’s the Rock and Roll Hall of Fame (Cleveland, Ohio), the birthplace of Motown (Detroit, Michigan), The Great Lakes, and the infamous Mount Rushmore (South Dakota). Finally, it’s worth noting that Midwest universities are worth looking at for your students who are into sport (Nebraska is the spiritual home of baseball) and music (the Midwest is the home of rock n roll, jazz and blues). 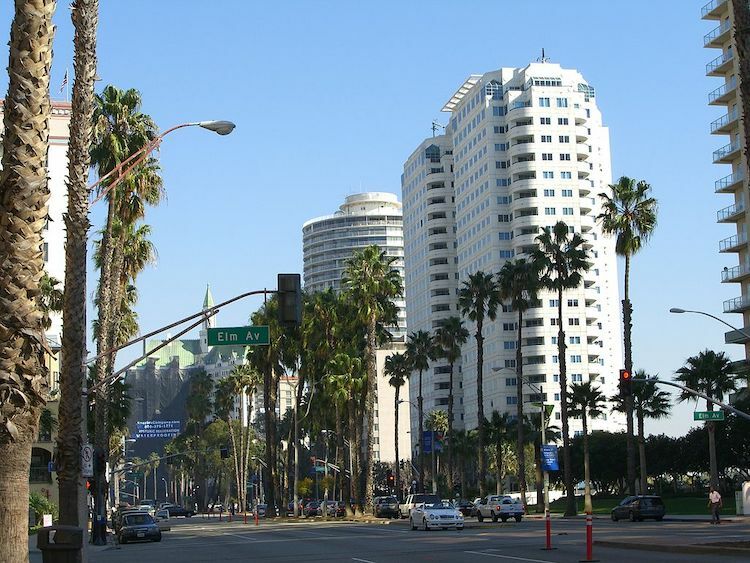 Most students think of California when they think of the West Coast. But students could also look into Washington or Oregon, Montana or Wyoming as potential university destinations. The West is home to institutions within the University of California system, e.g. the University of California, Berkeley and the University of California, Los Angeles. This is also the home of Stanford, which has produced some of the entrepreneurs who founded companies such as Paypal, Yahoo and Hewlett Packard. It sits at the heart of Silicon Valley, so if you have students who aspire to work for a company like Facebook or Google, this could be the place for them. States such as Washington and Oregon also have a number of public universities and liberal arts colleges which are worth exploring. These include Reed College and the University of Washington (which boasts a renowned medical school). The Western states of the US are known for their warmer climate, and students can look forward to exploring the mountains, coastlines and great plains. The South Atlantic states, such as Maryland, Florida, North Carolina, South Carolina and Virginia. The Central Southern states such as Alabama, Kentucky, Mississippi and Tennessee. The South West, including Arkansas, Texas, Louisiana and Oklahoma. Like the Midwest, the Southern states are dominated by high profile public universities. For example, some of the most highly ranked global universities by QS include Texas A&M, The University of Florida, The University of Virginia, The University of Delaware, and North Carolina State University. Some notable private universities in the southeastern states include John Hopkins University (Maryland) and Duke University (North Carolina). It would be impossible to neatly summarise the Southern states in terms of climate, culture and geography. For instance, a student applying to South Atlantic states, such as Virginia or Maryland would find these more temperate places to study in terms of climate, and sharing more in common with the North East when it comes to culture and economy. Meanwhile states in the so-called ‘Deep South’ of the US are generally warmer and more humid, with a distinct cultural history of their own. For example, Mississippi and Alabama are more conservative and more religious; but they’re also the birthplace of the Civil Rights movement, as well as the cradle of blues and rock n roll. When thinking about university fit for your students, it’s worth considering that US university degrees are known for their flexibility. Whilst the content and teaching styles may differ across the institutions we outlined in Chapter 2, what US degrees have in common is the opportunity for students to build their own degree, even within a fairly narrow subject area. US university degrees are credit based. Students choose a ‘major’ to specialise in, and throughout their time at university will have to gain a number of credits in this subject. However, they will also be expected to take a certain amount of ‘general education’ courses that do not relate to their chosen major. If students are not sure what they want to specialise in, they can spend their first two years taking general education courses and choose their major at a later date. Students can also choose to add a second major (meaning they will have to take more general education courses and gain the required credits for two majors) and will graduate with two undergraduate degrees. They can also choose to take a ‘minor’, which is a secondary focus and will require less credits. A student’s major and minor can be related disciplines, or they can be completely separate. For instance, a student could major in English Literature and minor in Film Studies; alternatively a student could major in Chemistry but minor in History. It’s worth noting that the major/minor options are different depending on whether your students are looking at a university, or a liberal arts college. As an example, let’s imagine one of your students is interested in studying Engineering. Universities are more likely to offer students to focus on a specific area of study. This means that your aspiring Engineering student could major in Engineering through a Bachelor of Science program, and specialise more during their time at university. But if your aspiring Engineering student is thinking of going to a Liberal Arts College, they are more likely to receive a broader education, and will therefore major in related academic subjects such as sciences or mathematics. That said, a liberal arts college course can still prep your student for an Engineering career – it’s just a slightly different route. In the US, students will study towards professions such as Medicine and Law at postgraduate level. Whilst universities don’t offer official pre-professional degrees for these careers, students can major in subjects that would eventually prepare them for medical school or law school. For example, a student looking to go to medical school would need to ensure that they meet the necessary requirements to take the MCAT (Medical College Admissions Test), by enrolling in courses in biology, chemistry, physics, statistics or psychology (to name but a few) throughout their four years at university. Note: Different law schools and medical schools have their own bespoke subject requirements. Your US applicants thinking about going into medicine or law will need to bear this in mind as they choose their undergraduate degree. Do my students have to apply with a particular major/minor? No. Some students will declare their major when they apply to a US university, but you don’t have to. Some universities will even discourage students from declaring a major when they apply. Can students switch majors later on? Yes. It’s very common for students at US universities to switch their major after one or two years at university. Students don’t need to have everything figured out when they start! Can students skip certain courses in their freshman year? Yes. Some secondary school qualifications, such as the IB or A-levels, or Advanced Placement classes in the US curriculum, can count towards university credits, and exempt students from some classes in their freshman year. As we’ve already covered, studying in the US isn’t just a question of choosing a degree – students are essentially choosing a way of life for the next four years of their life. So as they set about shortlisting their preferred options, students must think about all aspects of campus life, and whether they are the right fit for a particular university. Here are a few of the things that students may want to think about as set about researching the right university destination for them. A lot of US students tend to live on-campus and stay in dormitories (or ‘college dorms’). Many students, particularly international ones, appreciate college dorm living because it pushes them to expand their social horizons, make friends with people they may not have interacted with otherwise and gain confidence through participating in different extracurricular activities. Living in a college dorm can also save students money. Whilst the cost of dorm living may seem expensive, students won’t have to pay extra utility bills, or pay to furnish an apartment. Students living in dorms can also take advantage of meal plans, and pre-pay for breakfast, lunch and dinner throughout the course of a semester. together, generally with an older member acting as a guardian to ensure that other members stay safe and follow the rules. Participation in the social scene at university by volunteering philanthropically and hosting (often exclusive) parties. Networking opportunities for their newly graduated members. Of course students also have the option of living off-campus, and living in a shared house or apartment. Whilst this offers more independence (and may be more attractive to students in later years), it’s worth thinking about the cost of paying for furnishing, food, utility bills and commuting into class every day. If you’re a counselor for international students, then ask them to think about location and accessibility for any prospective university. As we’ve already covered, the US is vast. This means that your students will need to think about logistics such as the closest airport, whether they will need a car to get around (in some states, this is a necessity), and the general public transport links to and from campus. This feeds into a wider question about location. Some students might have their heart set on a particular university because of its reputation or ranking. But remember they’re spending the next four years at university. Do they love discovering big sprawling cities? Do they like being able to escape into a quieter/ country area? Rural or urban, huge city or small town, conservative or liberal, what’s their personal preference, and have they thought it through? Perhaps more than any other system in the world, playing competitive sport could be a significant factor in your students’ decision making when they shortlist a US university. That’s because sports and athletics at US universities are a big deal. And we mean a big deal. 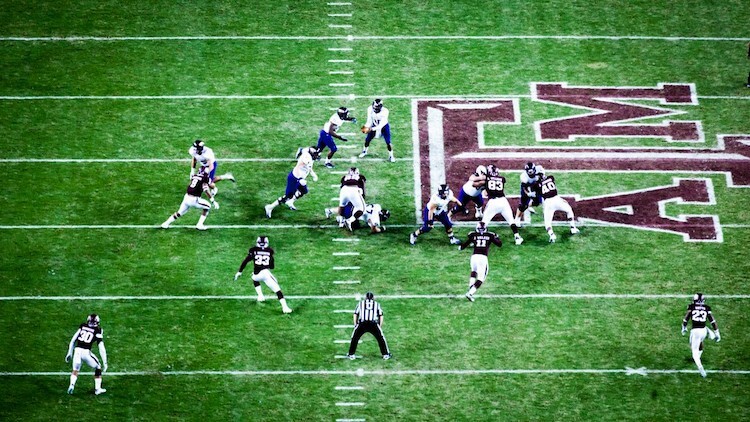 Not only do many US universities and colleges have huge budgets for equipment, coaching and facilities, but US university sports and athletics teams have their own supporters and fans, and even compete with professional sports teams for prime time broadcast and print coverage. 400,000 student athletes participate in college sports every year; thousands receive scholarships to do so. 1 in 25 college athletes go ‘pro’. Understandably, universities and colleges are keen to attract the top athletes, which means sports scholarships in the US are commonplace, and these are a common means of financing a degree at a top tier university. Apart from sports teams (which cater to different ability levels, not just professional), US universities have a lot of opportunities to get involved in clubs and societies. Examples include student government, debate teams, academic clubs, student newspaper or radio, volunteer work, music, drama and much more. So if there are any particular extracurricular activities that your students are interested in, encourage them to do some research in this area. Most US universities have official groups to bring together and support international students. Often there are more than one and they are divided by region (for example: Asia Pacific/ South American/ African etc.). They are designed to support and serve as a lobbying voice for the political, cultural and social interests of students of that heritage. We want to conclude this chapter by talking about how to tackle a few of the myths and preconceptions surrounding US university ranking, because it can be an important factor in students’ decision making (and their parents’ aspirations for their future). If you’re at the beginning of the university research process with your students, both them and their parents/family members may approach the US university system with some awareness of its international reputation. But whilst universities such as those in the Ivy League, or highly ranked specialist institutions such as MIT, may look like attractive options, students must approach university research entirely on their own terms. Rather than looking at generic rankings, it’s useful to begin US university research whilst thinking about the following factors. Business majors – The University of Southern California, University of Pennyslvania, Georgetown. Engineering majors – MIT, Stanford, Princeton, Purdue, The California Institute of Technology. Depending on your students’ political leanings, some institutions may seem more attractive than others; universities such as the University of Vermont have a more liberal reputation in terms of their student population; meanwhile a university like Texas A&M is more conservative. This can be a very important factor if your students are applying to the USA from abroad. Students will understandably be looking at the cultural, ethnic and gender diversity of a university, and how it reflects their own background. 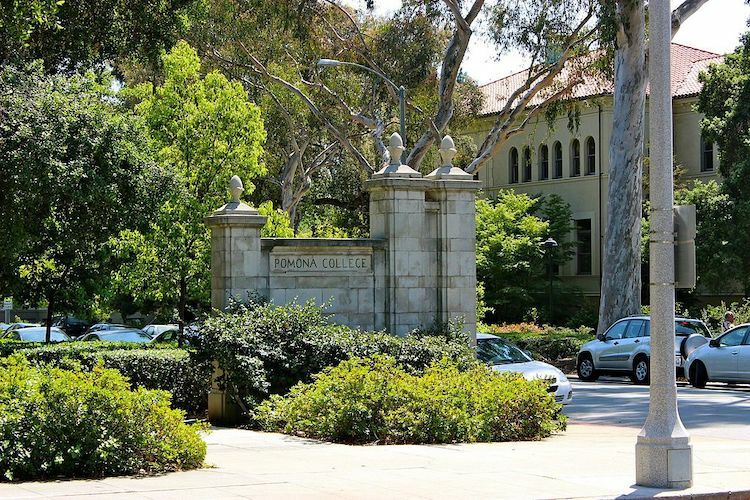 Universities with more diverse student bodies include Pomona College (California) or Amherst College (Massachusetts). Less diverse universities include Ohio State and The University of Alabama. Is the university LGBT friendly? Is there sufficient disabled access? Does the university offer a great party scene? In this chapter, we’ll take a brief look at what your students will need in order to meet the academic requirements to study at a US university. If your students are applying from a school which offers the US curriculum, then the basic academic requirement will be their Grade Point Average (or GPA). If your school doesn’t use GPA, it’s possible to convert your students’ academic grades using a number of online calculators. For IB students, many US universities are now listed required IB grades alongside GPA. International students may need to take the The Test of English Foreign Language to ensure they have the required skills to survive in an English-only educational environment. If your students are coming from an international school where English is the primary language, they may be eligible for a waiver from this test. The two most common standardised tests for entry to a US university are the SATs and the ACTs. Both these assessments test broadly similar skills, but may have a slightly different emphasis. Students take a Reading test, Writing/Language assessment, two Mathematics tests (one with a calculator allowed, the other without), and an optional Essay component. In addition to the standard SATs, students can also take subject-specific SATs, in English, Maths, Biology/Chemistry/Physics, World history, as well as Language tests including French, Italian and Chinese. The mathematics and reading/writing sections are each scored out of 800, and students are assessed on their total score out of 1600. These are broadly similar to the SATs, with English, Mathematics, Reading and Writing components (again, the writing component is optional). Where the ACTs differ is they also offer a Science component. The ACTs are divided into four sections and a student’s total score is calculated using their average score from these four sections. Note: In 2018, many highly ranked US universities announced they were dropping the SAT/ACT essay component, so if your students are applying in 2019 and after, check to see if they still need to do this part of the test! The application process for studying at a university in the USA can be an extremely complex one. For students, there are a lot of academic milestones to pass, and application essays to write. For teachers and counselors, the process of co-ordinating their students’ applications means a lot of documents to collate, and a lot of admin to do. To give you and your students a good overview of what’s needed for a US university application, we’ve split the process up into two components. The US has no unified application system (like UCAS in the United Kingdom), but there are a number of application portals which have been designed to streamline the process for school staff and students. Below are some of the most notable ones. The Common Application was created in an effort to streamline the application process for students and staff. Common App (CA) allows students to complete one application (one essay, etc. ), and submit the complete application to multiple CA university partners. The Common App currently partners with around 800 US universities, including public, private and Ivy League institutions. The Common App usually goes live for applications on the 1st August every year. The Coalition Application is a younger, and smaller portal. It currently partners with 130 universities. The Coalition allows users to store documents in an online ‘locker’, which enables students to save and store a range of supporting documents for their applications. Most universities are partnered with both the Coalition and Common Apps, but some universities are Coalition exclusive. Some of the state university systems we outlined in Chapter 1 have their own application portals. Three notable examples include the University of California system, the University of Texas system and the New York state system. Example: The University of California has a separate platform for the whole system. As well as their academic records, students must submit 4 personal insight essays of 350 words each. Note that the UC system also has an earlier deadline relative to other US universities, with applications due in November of an academic year. School profile – a document explaining what academic programs your school offers, and demonstrating the rigour and quality of your students’ secondary school education. The school profile can have a big impact on your students’ applications. Don’t underestimate its power! Test Scores – we covered these in Chapter 5. Universities will need to proof of students’ SAT/ACT and TOEFL assessments and overall marks. End of Year Report/Final Transcript – US universities ask for an end of year academic report, often as proof that students haven’t taken their foot off the pedal after they’ve applied. Teacher & Counselor Letters of Recommendation – Universities will have different requirements and allowances for letters of recommendation. Some may require two letters, but allow three; meanwhile other universities may be strict and only allow one. Check each university’s requirements carefully. Common App/Coalition Essays – the Common App and Coalition Application portals both set a series of ‘standard’ essay prompts that are then sent to all the universities you apply for. Supplemental and Specific Essays – many universities have specific, or supplemental essays, which ask students to explain why they wish to study for a particular course, or what draws them to a specific institution. Early Decision (ED) – students can apply early to a university under Early Decision. If that university accepts them, the application is ‘binding’, meaning a student would be legally obliged to attend that university. This means your students can only apply to one university under Early Decision. Some universities have two Early Decision deadlines, one in November/December, the second in January/February. Chapter 7 – How Much Does It Cost to Study in the USA? The United States has the some of the highest tuition fees and living costs of any system in the world. Fees range from $5,000 to $70,000, depending on the university in question. For international students, university in the US can feel prohibitively expensive. 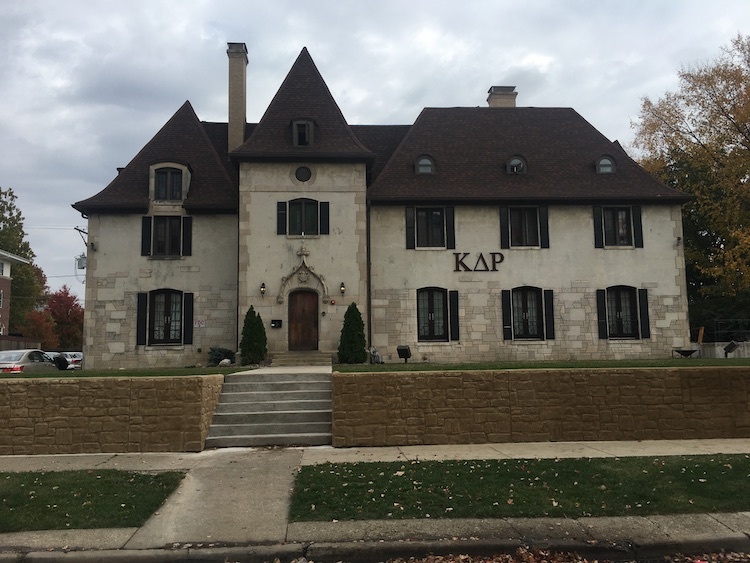 For example, in 2017 the University of Michigan was charging out-of-state students just under $45,500 per year; factor in $11,000 for accommodation, $1,000 for book and then $2,500 for other personal expenses. Let’s round this up to an even $60,000. It’s a lot of money. But all is not lost. If your students are looking at the USA as an option for higher education, then many universities offer financial aid to students. For example, the National Center for Education Statistics reported that 44% of students received a grant from a US university in the academic year 2015/16, this increased to 82% when you also factor in federal/state aid, and student loans. When applying to a US university, there are a number of different routes your students can take towards securing financial aid. Here are a few of the options on offer. Universities in the US will have their own financial aid packages on offer for students. It’s impossible to sum them all up here, so it’s worth checking each universities’ respective aid options carefully. These are available for US born students and international students. Universities that are ‘need-blind’ do not look at a student’s financial situation when considering an application. Universities may extend this to US-born students only, or include international students also. Some universities are both need-blind, and what is known as full need-met, meaning that the university will pledge to offer financial assistance to all students offered a place. Note: there are only a handful of universities that offer both need-blind and full need-met financial aid. These include Harvard, Princeton, Amherst College and MIT. Other universities are what is known as ‘need-aware’ with financial aid, so are will be aware of students’ financial need. This doesn’t mean that financial aid isn’t fiercely competitive, and students will still need the academic grades to be eligible. These universities will also offer full-needs met financial aid for students. Universities will offer merit based scholarships for students who academically gifted. Different universities have very different eligibility criteria so, once again, it’s important to check these carefully. There are a number of merit based scholarships that are offered to international students. As we mentioned before, universities in the US spend a lot of money on sports and athletics. Sports scholarships are on offer for students who are skilled in a sport that a university prioritises. If you’re working with students who are hoping to study in the USA, then it’s worth impressing on them that there are no hard and fast rules for approaching the application process. As we’ve discussed, every state, and every university does things slightly differently. More than any other university system in the world, the USA is a system that requires students to be well-researched and well-prepared even before they’ve started. So here are our closing tips for getting your students ready for the process. There’s no one application path for getting into a US university. Whether it’s knowing how many recommendation letters to write, or getting on top of the various deadlines, every student must approach their application with the understanding that it’s up to them to actively engage with the process. Organisation and awareness are essential. Students need to go into the US application process with their eyes wide open. Universities have very bespoke requirements for what they’re looking for in a student. They want applicants who are willing to contribute to campus life, and to give something back to their institution. Success is about more than grades and test scores. The United States is one of the most prestigious destinations in the world – but students can’t get dazzled by league tables, or the burden of expectation to study at a top-ranked university. Encourage students to think about the region that is right for them, the kind of campus life they want, and what subjects they are really passionate about. Remember: the USA caters for every type of academic and personal interest. Your students just have to know where to look!